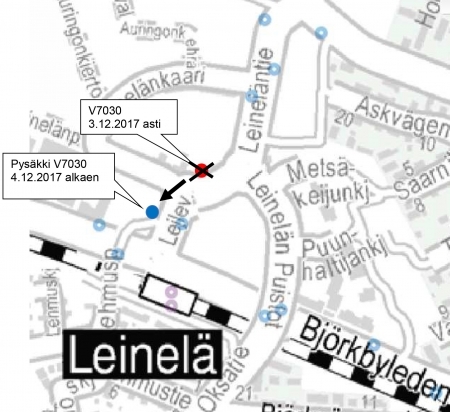 The "Leineläntie" bus stop (V7030) in Leinelä will be relocated on 4 December. The new location is by Leineläntie 2. The stop is served by routes 574, 623/B, 624/N, 625 and 736/A.